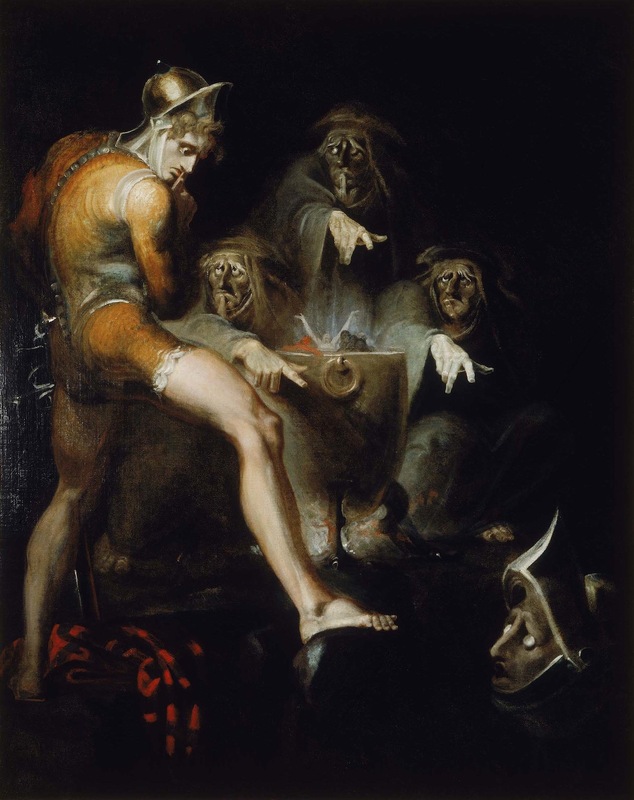 Henry Fuseli, "Macbeth Consulting the Vision of the Armed Head," 1793. Oil on canvas. Folger Shakespeare Library, Washington. Something terrible happens in the world every day, so tragedy is the bread and butter of daily journalism, but as the subject of Aristotle’s “Poetics,” the foundational text of European aesthetics, it well deserves the scholarly attention which University of Chicago professors of art history, as well as philosophy, English and classical literature have given it in this special exhibition at the Smart Museum. Focusing on two centuries of Western European art, “The Tragic Muse: Art and Emotion, 1700-1900” attempts to trace changing attitudes towards what we call tragedy. The highlight is the collection of paintings that relate to Shakespearean theater. There are portrait sketches (1785-90) of the actress Sarah Siddons as Lady Macbeth by George Romney from the Princeton University Art Museum. More impressively, there is the life-sized painting of the tragic actor Philibert Rouvière as Hamlet, from 1865, by Edouard Manet on loan from the National Gallery, and Henry Fuseli’s nearly life-sized depiction of “Macbeth Consulting the Vision of the Armed Head” (1793) from the Folger Shakespeare Library. Does tragedy look different now than it did to viewers from the eighteenth and nineteenth centuries? Lacking some kind of comprehensive survey or statistical study, we can only ask how each piece feels to each one of us. The martyrdom depicted by Fontebasso would have been so much more delightful if done by his predecessor, Tiepolo, and Anna Lea Merritt’s portrait of an actress playing Ophelia cries out for the paintings by Millais or Waterhouse. Especially disappointing is the sculpture, not because the pieces by Rodin or Minne are weak, but because the lighting fails to make the surface come alive with the forms underneath. Those interested in nineteenth-century tragic sculpture might do better to walk a mile south and visit Oak Woods Cemetery, or better yet, Graceland or Bohemian National Cemeteries on the north side of town. Through June 5 at the Smart Museum of Art, University of Chicago, 5550 South Greenwood, (773)702-0200.